After Kathleen and I made our Holly & Jolly dish-towels and the Peace & Joy dish-towels we got the idea to make weekday dish-towels. 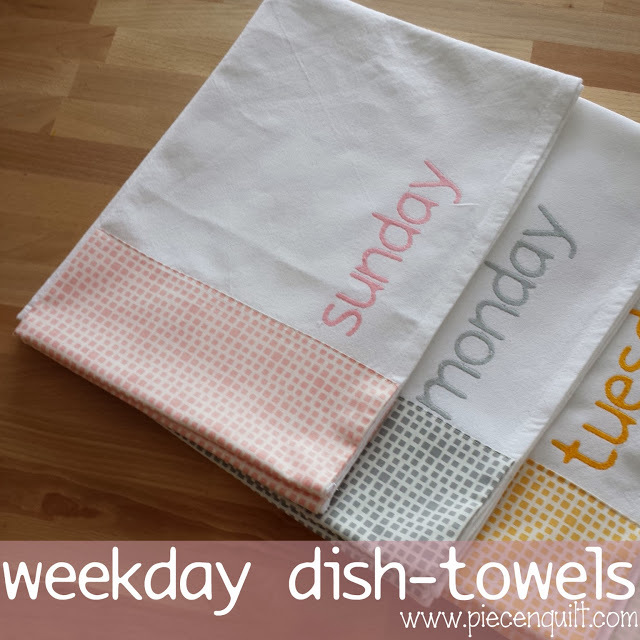 Yeah, we're on a dish-towel kick lately, but they are so simple and adorable we can't stop! 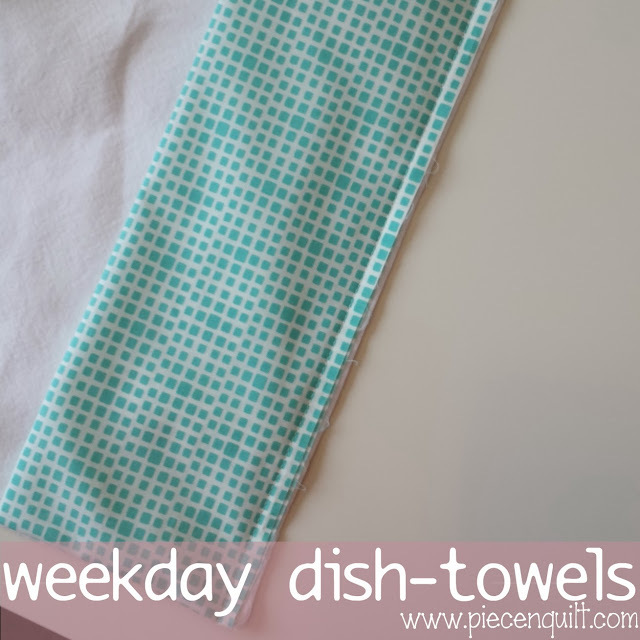 Before you begin, pre-wash the dish towels and fabric. When making quilts we generally do not pre-wash our fabrics, however, when working with tea-towels you must first pre-wash fabrics and towels. 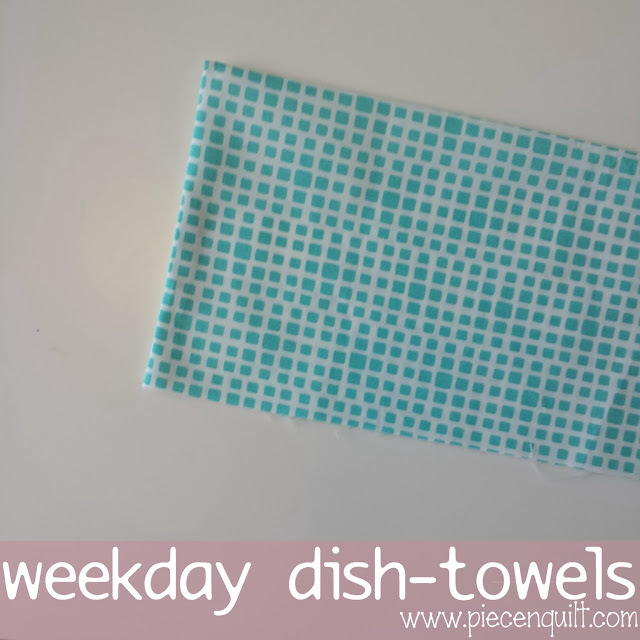 From your check fabric cut one strip of fabric 9 1/2" x WOF + 1/2", our towels measured 19" so we cut our strip 9 1/2"x 19 1/2"
Fold fabric in half, lengthwise, right sides together. 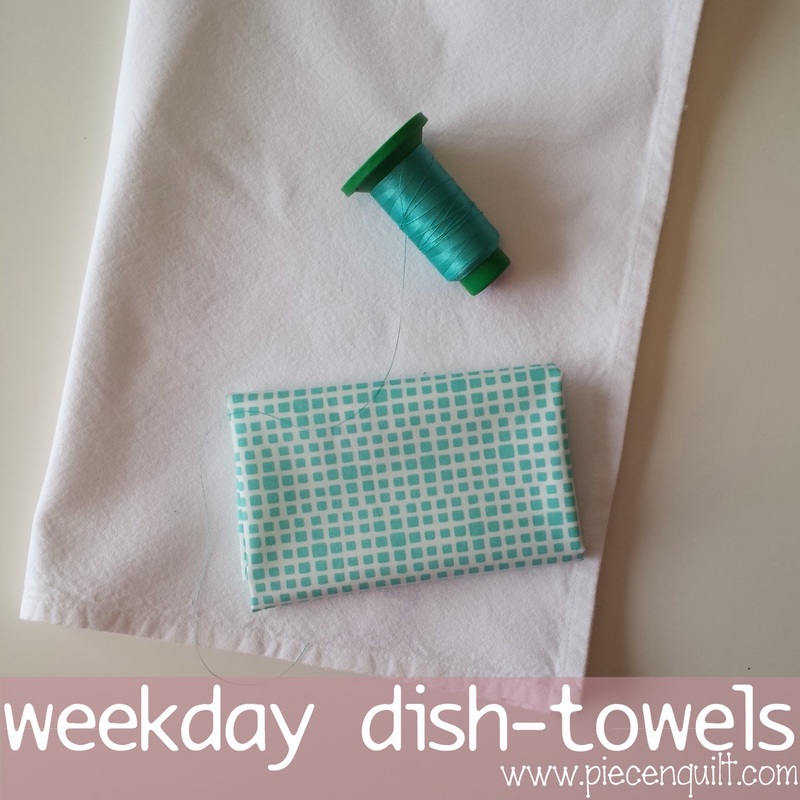 Sew the across the two ends, leaving the long section open. 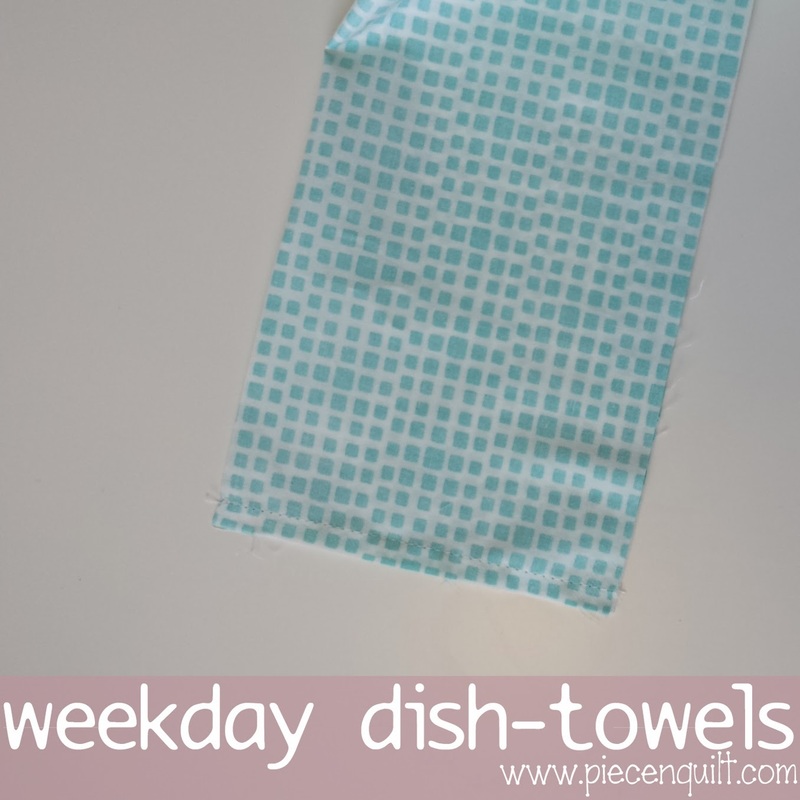 Sew the fabric tube along the bottom edge of the back side of the towel. Stitch 1/4" from the bottom edge along the raw edge of the fabric tube. 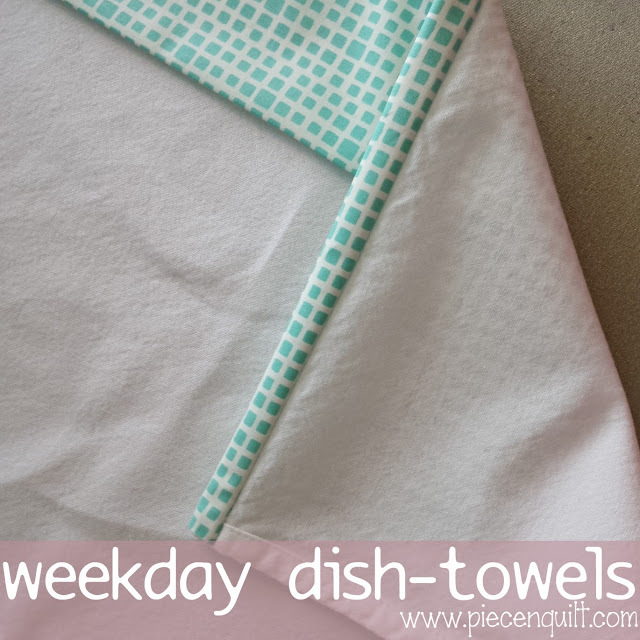 Fold the fabric strip over the bottom edge to the front side of the towel. 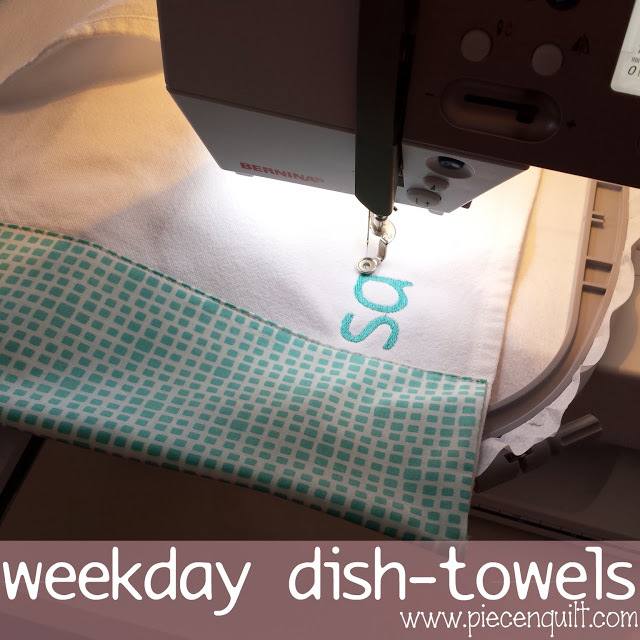 Use a coordinating thread sew the fabric tube along the top edge to the front side of the tea-towel. 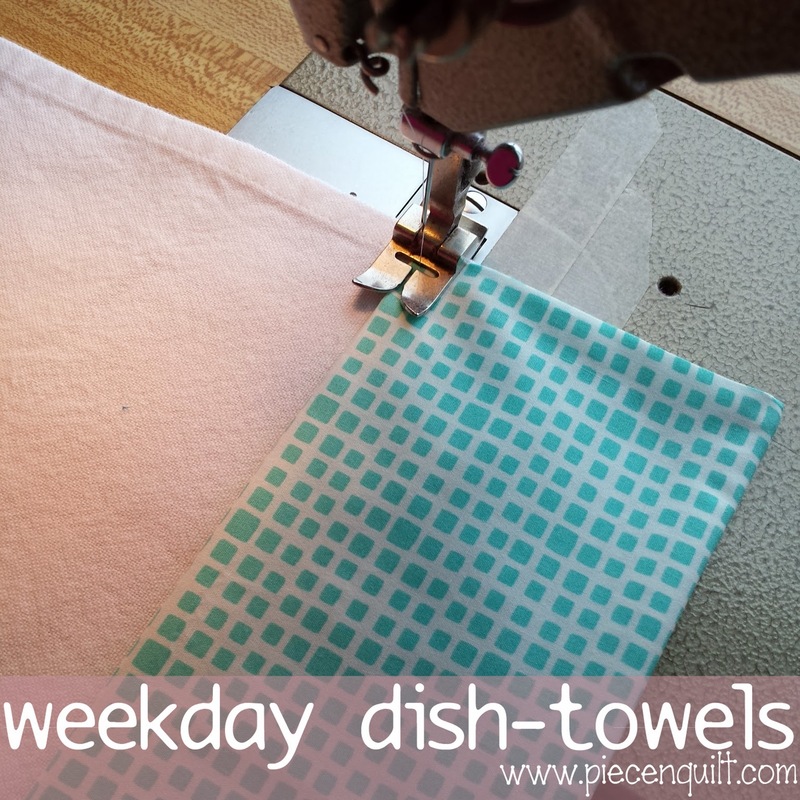 Machine embroidery week day, vertical along the bottom right corner of the towel. All of our embroidery is done on a Bernina Aurora 440QE with embroidery module. 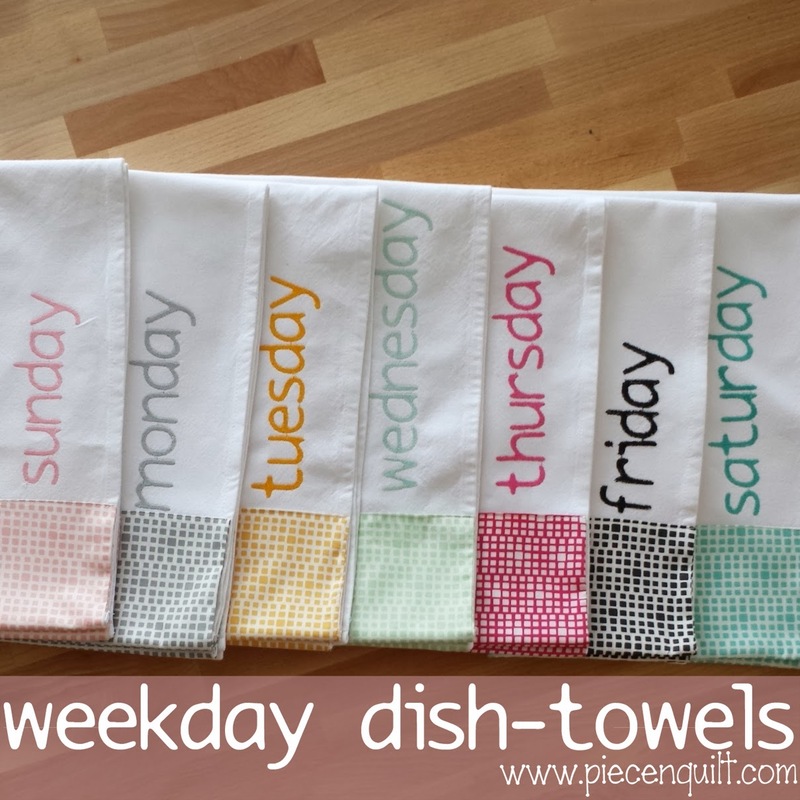 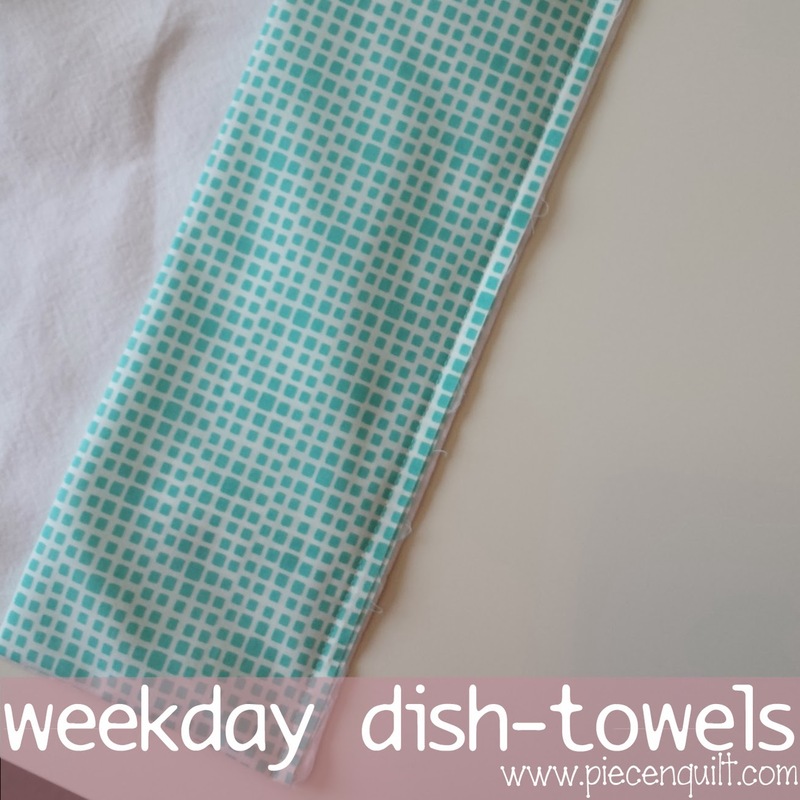 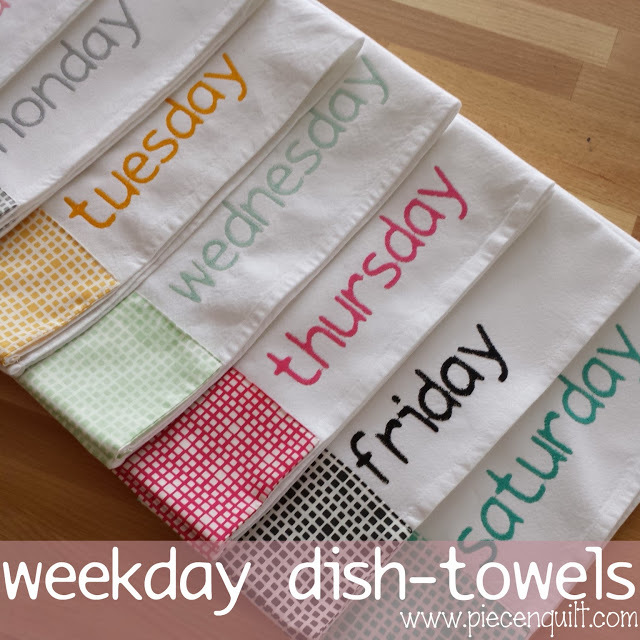 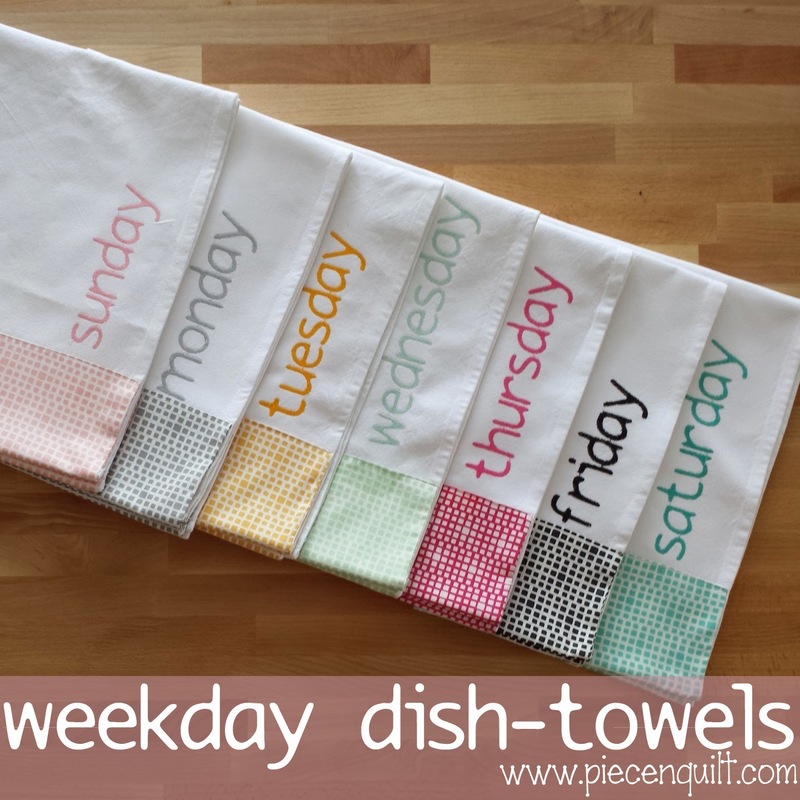 Repeat until you have dish-towel for each day of the week.